Peacock Alley’s Salerno duvet and shams in an Italian jacquard classic paisley capture the imagination. 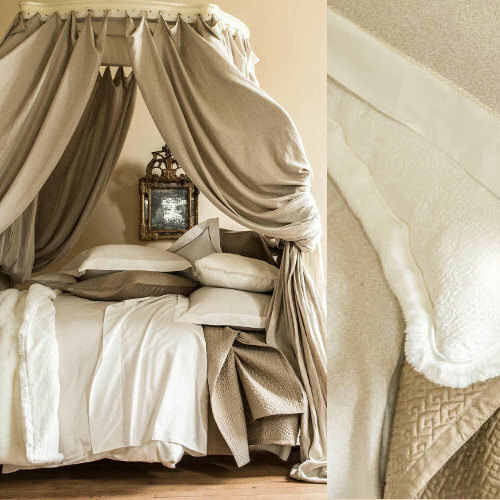 A soothing palate of gray, camel and gold gives this bedding a relaxed ambience. 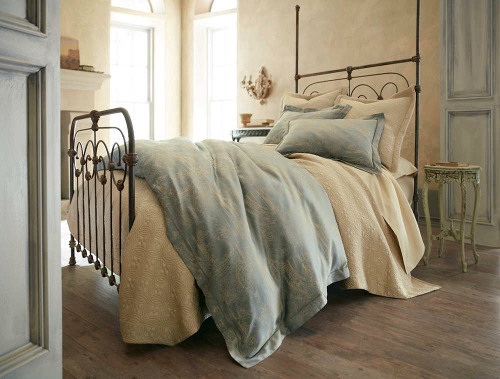 Add coordinating Lucia matelasse coverlet and shams for decorative texture. A true masterpiece! Clean, simple Fino Sheeting and Duvet collection from Home Treasures is designed with a 1″ inset on duvet, flat sheet, shams, cases, and bed skirt. Select your color combination from the many color choices on 300 or 600 thread count Egyptian cotton sateen. 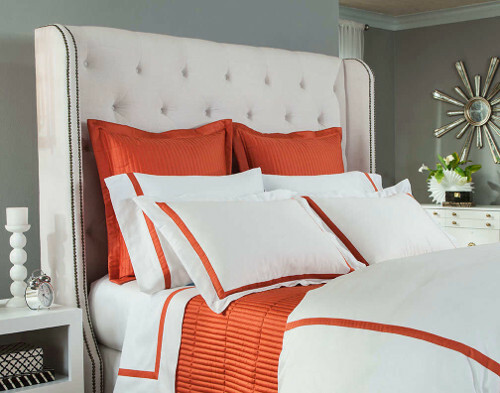 The coordinating quilted coverlet and shams are made using the same fabrics/colors. Choose the Channel pattern as shown or select from a variety of quilting patterns. Make it your own! Curl up with the Precieux duvet from Alexandre Turpault. 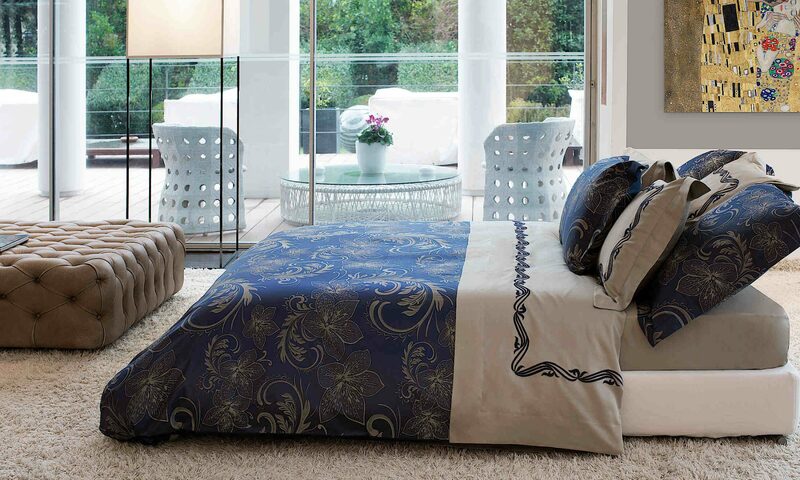 The arabesque design on the duvet front reverses to a solid on the back. The flat sheet, cases, and shams are embellished with a lace piping. This bedding coordinates with the neutral palate of the Talisman throw and decorative pillow or the Palace quilted cover, bed runner, and decorative pillow collections. Just the right blend of comfort and texture!